Seven years after being fired by McGill, Professor Norman Cornett returned to the university on Thursday evening—not to teach a class, but as the subject of a feature-length documentary film and a special guest of Cinema Politica. There are clips of Cornett at work, as he makes students listen to music blindfolded or write rambling stream-of-consciousness reflections while sitting in front of a painting in a gallery. These clips are interspersed with testimonial-like interviews with sympathetic former students and colleagues. “He made me realize […] that I had never had a good teacher before, and that I wasn’t really engaged in quality education,” said Sara Gidding, one student interviewed in the film. “It was almost, ‘How long can this go on?’ It was almost like a secret. You didn’t want anyone in the administration to find out how wonderful these classes are, because they’ll take it away from you,” said another student, Leon Mwotia. The axe did finally fall in 2007. After 15 years of teaching, the religious studies professor was unceremoniously ordered to pack up his things and get out. According to Cornett, McGill never revealed the grounds for his dismissal. The administration’s only public statement on the matter consists of an open letter in Le Devoir by then-Executive Vice-Principal Anthony Masi, who is now provost. In an interview with The Link after the screening, Cornett said his firing had surprised him. He also defended his sometimes-demanding teaching style. Aside from his unorthodox method of conducting his “theatre of learning,” Cornett was also remarkable for both the quantity and quality of guests he had managed to bring in to speak to his students while at McGill: former prime minister Paul Martin, former Reform Party of Canada leader Preston Manning, former premier Lucien Bouchard, jazz pianist Oliver Jones and Obomsawin herself, just to name a few. “Yes, we worked very hard, but how often are you going to get to go one-on-one with the prime minister of Canada, one-on-one with the premier of Quebec, one-on-one with Academy Award nominee Ethan Hawke? And we did this not just every year, not just every semester; we did this every week,” he said in a characteristically dramatic tone. “University education as originally conceived was […] certainly not vocational,” Cornett later told The Link. “The undergrad degree is aimed at informing and forming the well-rounded citizen. At one point, Cornett said he was looking forward to an upcoming “commission” on higher education to be overseen by Pierre Duchesne, Quebec’s minister of higher education, research, science and technology. When asked to clarify, Cornett responded that he had meant to say “consultation” instead of “commission,” although no major reassessment of university education has been announced since last year’s Summit on Higher Education, which resulted in tuition fees being indexed to the annual rise in Quebec families’ disposable income. Nevertheless, Cornett spoke fondly of the 2012 student protests, likening it to his own experience at the University of California, Berkeley in the 1960s. Over that decade, the university was home to student protests for civil rights and free speech, and against the war in Vietnam. Cornett said the Maple Spring was a step in the right direction, but insisted a lot of work remains to be done. “I believe the Maple Spring was the beginning. It was the ‘presenting problem.’ But if we’re really going to make a difference in Quebec education, we’ve got to go ad fontes, we’ve got to go back to the sources,” he said. Lately, Cornett said he has been keeping busy as a guest lecturer at schools all over Europe and North America. He also writes, translates and continues to offer his trademark dialogic sessions to the public when he is in town. And, of course, he hinted that he may have some big names lined up to join him. “For me, it became very important to continue the dialogic tradition of bringing the very best to the [greatest] number of people,” he said. For more of the interview with Professor Norman Cornett, tune in to Link Radio this Thursday at 11:00 am on CJLO 1690 AM. Professor Norman Cornett: “Since When Do We Divorce the Right Answer from an Honest Answer?” is available for viewing on the National Film Board website. 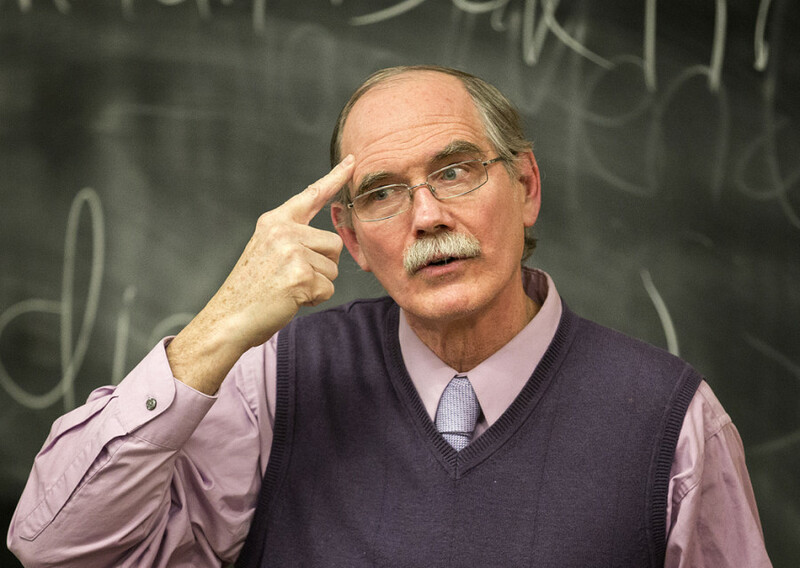 CORRECTION: The original version of this article stated that the documentary Professor Norman Cornett: “Since When Do We Divorce the Right Answer from an Honest Answer?” was filmed “while Cornett was teaching at Concordia.” In fact, Professor Norman Cornett was an invited guest speaker at Concordia at the time. The article has been updated accordingly. The Link regrets the error.